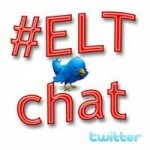 This is a re-post of an original post from Marisa Constatinides and as I am deeply in awe of the #ELTchat project, I am sharing it with you. it is sad.. i hope they will be back with bang.. I know the feeling. By a stupid change in wordpress configuration I lost access to my blog. Then I requested a server backup to be loaded and the only thing I lost was the statistics from two days. Whenever I recall that situation I make a data backup myself. Hi Vicky. Thanks for dropping by my blog and leaving a great suggestion. I've updated my post to include your idea!